There is absolutely no better quote to start this weekly segment with than this one. It truly encompasses all of the various effects that music can have on the world. I love how it starts with such a direct, succinct and omniscient statement, “Music is a moral law.” I want you to take a few minutes to think about what that means to you. My other favorite aspect of this quote is that he doesn’t just talk about the effects of music on people. “It gives soul to the universe.” When we think of the concept of the soul, we generally think of it as a mystical element of humanity, something inside of us. Here, Plato gives an entirely new meaning to this concept of the soul. Or, from another point of view, he gives the universe a sense of humanity. Whichever way you view it, music is the foothold. 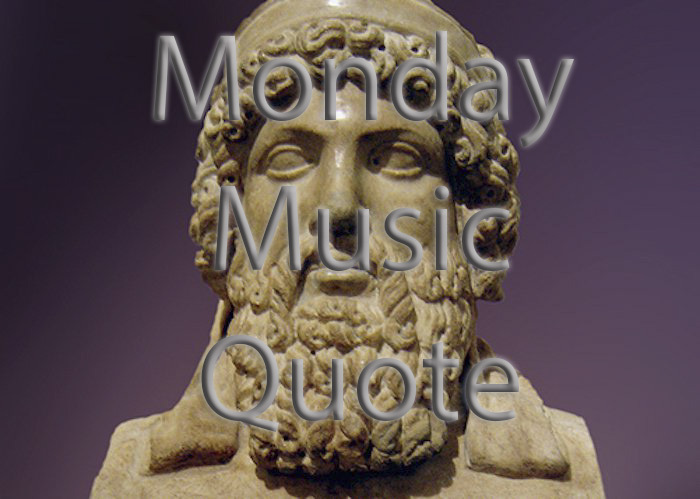 This entry was posted in Monday Music Quotes and tagged Monday, Monday Music Quote, Music, Music Quote, Plato, Quote.